Just Connect to Any Water Supply and Turn On Water! 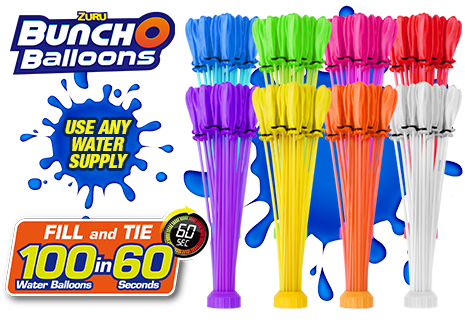 Bunch O Balloons fills 35 balloons in just seconds and they are instantly sealed and ready to go! Great For Boys & Girls! Bunch O Balloons makes the perfect gift for boys & girls and they also make the perfect gift or party favor for any occasion. Great for Picnics & Outdoor Family Fun! 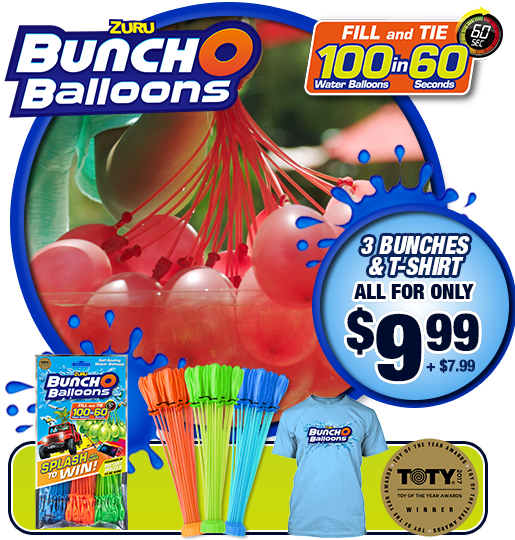 Bunch O Balloons is great for picnics, pool parties & Summertime fun. 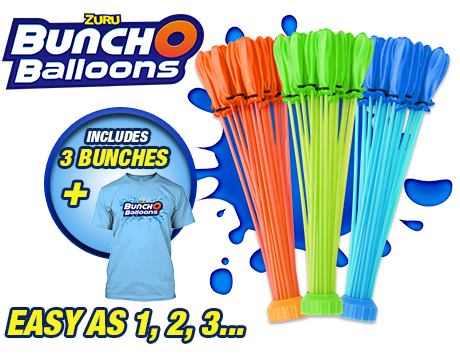 Bunch O Balloons is the ultimate way to make water balloons! 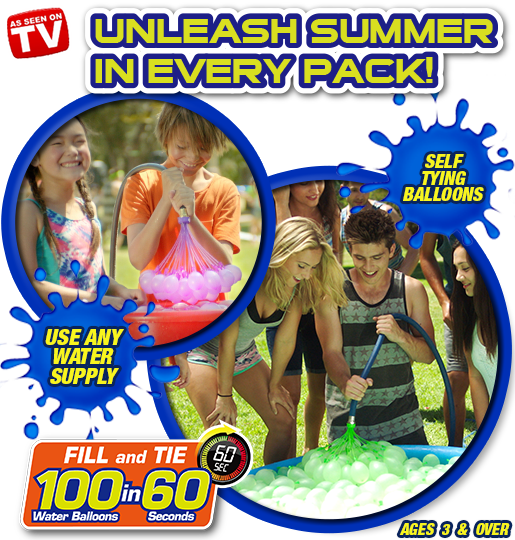 Fill over one hundred water balloons in just seconds with this ready to go bunch of self-tying water balloons and blast the competition out of the water. Simply follow three easy steps to forget the mess and stress of filling water balloons: connect the attachment to a water source, fill the balloons and see them self-tie to make over 100 water balloons in seconds. You can get 3 Bunch O Balloons for $9.99 plus $7.99 S & H. That’s 3 Bunches for $9.99 plus $7.99 S&H WOW amazing value! Hurry this offer won’t last long! Offer Details: You can get Bunch-o-Balloons for just $9.99 + $7.99 shipping and handling. Each Bunch fills 35 Balloons and you’ll get 3 Bunches - that’s 105 Balloons!! Hurry because this offer won't last long!